Riders who defy categorization. Cycling's makers and shakers, sometimes racers, they just love to ride. Ever wondered how to break the mould in cycling? Our riders on the front line know exactly what it entails. 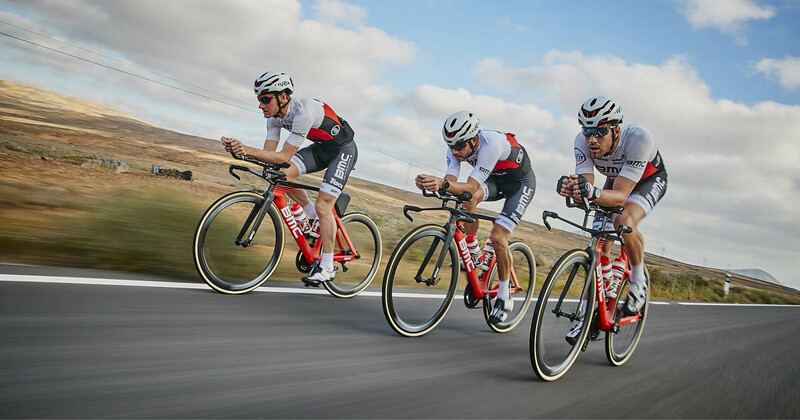 Makers, shakers, and sometimes racers, the BMC Ride Crew embody the excitement that’s generated by two wheels – a notion of freedom recognisable the world over. Their authenticity confirms just how much pleasure can be hard just by showing up and riding. Take your track bike up mountains, shred the most awe-inspiring trails or throw yourself down hair-raising alpine descents, but most importantly live to ride. With their adventures documented across the globe, the Ride Crew is a powerful reminder of how to make the most of every ride. It’s why we love them. A native of Verbier, Switzerland, Ludo May has been unsettling the dust on the well-ridden berms of the international mountain biking scene over the last couple of years with his slapstick humour, cheeky video edits and fun riding style. He has attracted a huge online following with videos such as the Dumb & Dumber series starring fellow enduro rider Jerome Clementz. Who could forget that time he blazed colored smoke down the trails? Embark on a Verbier night ride with fireworks to illuminate your way or how about getting pegged with potatoes while blazing the trails? Anything is possible with Ludo! Whether that’s his tattoos, how he rides bikes (fixed and fast) or dresses (mostly in black), but most likely it will be his dynamic and engaging personality – he has every reason in the world to act like a badass. Patrick’s fixed gear exploits on huge mountain passes in the Alps and Pyrenees have catapulted him to fame. Enduring gruelling, low cadence climbs to the top of Alpine giants to scorch the downhill on the other side trailing a smell of burning rubber as he substitutes skidstopping for brakes is his thing. Exhilarating? Yes. Madness? Yes, that too.